Maria Guleghina sang a wonderful Maddalena di Coigny. It was brave to do so when suffering from bronchitis. But I really wish she would take better care of herself and not think too much about her fans. We do love her well enough to see her healthy and sound even if we must suffer not see her onstage but another soprano. Get well and sleep well! 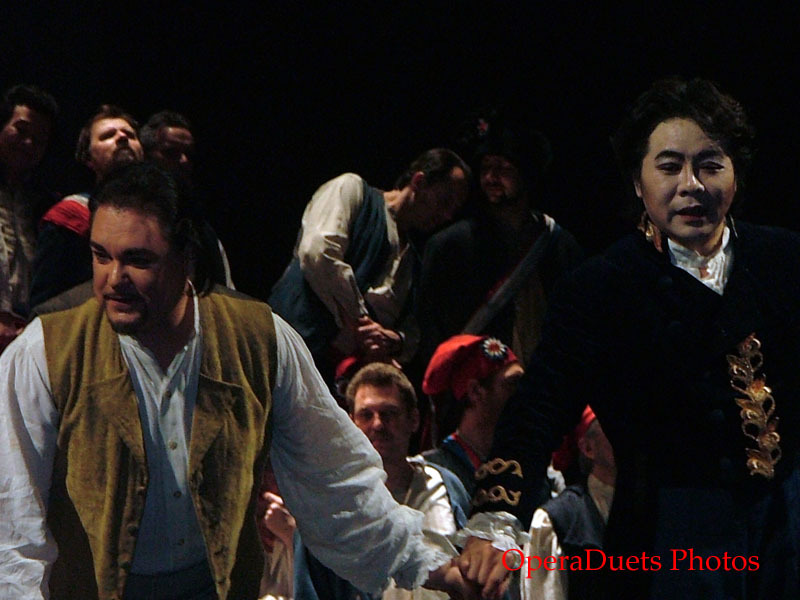 I worried about Salvatore Licitra as Chenier and about the baritone who sang Gerard but they only got better and better. The tenor used his lyrical instrument to the fullest. He gave a really beautifully sung Andrea Chenier. The baritone did not seem to have the right powerful voice in act 1 but that soon changed. He gave a really thrilling Nemico della patria. 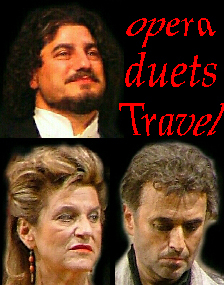 It was a truly believable duet between Gerard and Maddalena. I loved the Regie. It was traditional and naturalistic at the same time as it was innovating using the space to maximize the history at the same time as it was minimalistic. After the opera I got the change to give Maria Guleghina my get well wishes. Sleep well, my favorite Diva! Take care!!! !